Korean tire makers are challenging top-tier rivals such as Bridgestone and Michelin as they continue to supply more tires to German premium carmakers. The most recent achievement in line with this was a deal signed by Hankook Tire with Mercedes to provide ultra high-performance tires for the German marque’s S-Class luxury sedan which went on sale in Europe from September. “To compete with top-tier brands, it is essential for a fast follower to produce quality goods, have advanced technology and an ample output capacity,” Woo Byung-il, vice president of Hankook Tire’s Global OE Division, told The Korea Times in a recent interview. Today, products made by tire makers include original equipment (OE) for auto makers and replacement equipment (RE) tires for retail customers. OE tires carry a cheaper price tag than RE tires because they are supplied in volume to car-manufacturing plants. 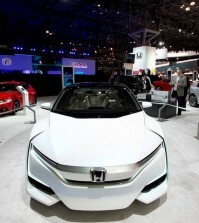 But this helps Asian tire makers such as Hankook and Kumho to enhance their “mass-market” brand image, said Woo. 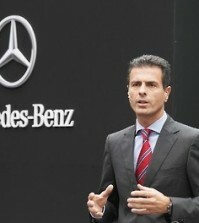 “An increased OE tire supply to German carmakers such as Audi, BMW and Mercedes-Benz will bolster our brand image. Customers will increasingly repurchase our products in the global replacement tire market,” said Chung Taek-ghun, senior vice president in charge of OE product development at Kumho. The country’s second-biggest tire maker by sales expects to sign a new OE supply contract with a premium car maker by December, said Chung without elaborating. Currently, Hankook makes tires for major models of 24 carmakers including the top three German brands and Japan’s three major brands ㅡ Toyota, Honda and Nissan. 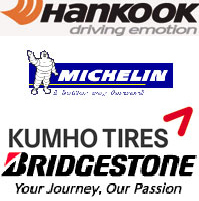 Kumho also offers tires to 25 automakers that include BMW and Mercedes-Benz. Analysts say that a growing number of imported carmakers use Korean-made tires because they don’t find any big difference in quality compared to tires offered by Bridgestone, Michelin, Goodyear and Continental. However, he warned that the company needs a heavy outlay in marketing to promote its brand globally, but higher marketing costs will be a burden for the world’s seventh-largest tire maker by sales. Looking ahead, analysts said that Hankook’s investment in a U.S. plant is the right decision to meet rising demand for its tires in the global RE market. It will invest $800 million to build its eighth overseas plant in Tennessee to start production from 2016, bringing its total capacity to 120 million versus 86 million currently. To gain a bigger share in the market, they urged domestic tire firms to put greater focus on research and development (R&D) activities on top of capacity expansion. “Hankook is heading in the right direction because it is investing in production facilities and R&D centers,” Suh Sung-moon, an analyst at Korea Investment & Securities, said. The company made inroads into the premium tire market dominated by four to five top-tier brands. It plans to invest about 500 billion won ($470 million) to expand its central R&D center by 2015 and build a test engineering center by 2020 in Korea. Hankook and Kumho separately run R&D centers in major markets such as the U.S., China and Europe to develop localized products. They earn 80 percent of their total sales from overseas plants. Kumho said that it will also complete a plant in Georgia by 2016 to expand into the North American market. It currently produces 65 million tires in total. During the past decade, Korean manufacturers have steadily gained market share from long-established rivals by offering competitively-priced products. Hyundai Motor Group is now seeking to go premium for profits, further encouraging tire makers to follow suit. Some 1.5 billion RE tires are sold annually in the global market. The RE tire market accounts for 70 percent of overall tire sales, with the remainder based on OE, according to Hankook data. Hankook accounts for 7.4 percent of the European RE tire market excluding Russia and the Commonwealth of Independent States. Kumho didn’t provide a corresponding figure.